I don't really own a "wardrobe,” so to speak. I have t-shirts. I have a couple pairs of pants, some underwear and a whole lot of mismatched cycling socks that I wear to everything from weddings to all-day slogs in the mud. I don't organize these things, bother with matching or coordinating them with my mood or the position that Virgo is currently riding in the lunar cycle. If these items are clean, I wear them. The only exception to the rule is this: I own winter cycling gear. There is a defined moment when I take all the short-sleeve jerseys and toss them in a box that won't get opened until July. It's long-sleeve time. And rain jackets–those things earn a permanent place in my pack. Wool socks become important. These things matter because dying of hypothermia has a way of screwing up your plans for the evening. Shorts, though, now that's trickier. The very idea of a short sort of screams blue skies and fluffy white clouds, but riding all day in a pair of wet pants is an even worse idea than riding out the storm in bicycling's version of beach wear. So, shorts it is. But not all shorts are equal when it comes to winter. I have a few pairs of waterproof shorts that become near and dear to me when fall shambles into view. True, waterproof shorts aren't going to save your life, but if nothing else, they reduce the specter of jungle rot in your crotch, which alone is enough to make them worth owning. Well, Race Face has a new pair of waterproof shorts out and though I've only spent a couple weeks in them, I think they bring something new to the mix (there'll be a long-term test later this winter). Most waterproof shorts are burly bastards. Big, heavy things that feel more like double-leg Carharts than cycling shorts. The Agent Winter Short takes a different approach. The thing is made of three-layer, waterproof fabric (90 percent polyester, 10 percent spandex) that's been given the waterproofing treatment. To straight up quote their marketing material, the "Outer fabric is laminated to a waterproof breathable membrane (10,000mm; 10,000g/m2) and backed by durable, lightweight mesh." Waterproof zippers and pockets are a nice touch. What's more, the short's seams are fully taped and the thing is laced with waterproof zippers. 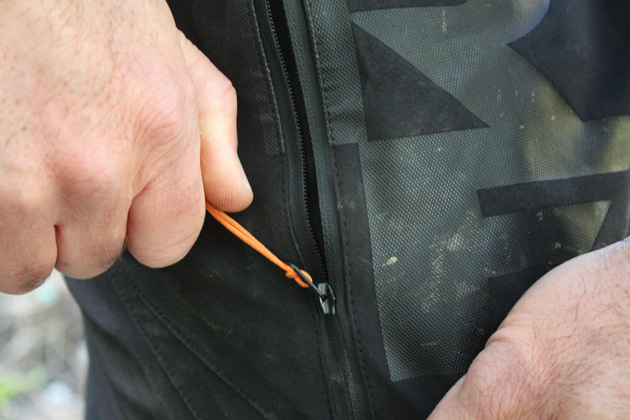 Added bonus: the pockets are fully waterproofed as well, so your wallet, multi-tool or smart phone don't emerge from the ride all nasty and pruned up. The Agent gets a raised back panel that helps prevent the dreaded moment when icy, mucky rear-wheel spray coats your plumbers crack. There's even an internal gaiter system. Gaiters in a pair of shorts? You sure as hell don't see that one every day. Interesting. We'll see how that works out. You can adjust the waistband via the usual Velcro closures. If you go and lose that beer gut entirely, you'll be glad to know that Race Face also added belt loops to the Agent, giving you a bit more adjustability. 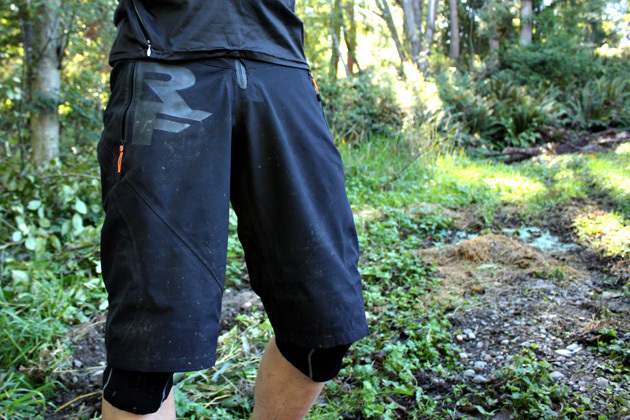 Despite being made of a fairly light fabric, the Agent winter shorts have a fairly durable feel. In fact, they feel more like summertime shorts than winter shorts, but I have returned from rainy rides completely dry. How will they fare over the course of a Pacific Northwest winter? Time will tell. Stay tuned for the long-term bashing.